Product prices and availability are accurate as of 2019-04-19 02:36:23 BST and are subject to change. Any price and availability information displayed on http://www.amazon.co.uk/ at the time of purchase will apply to the purchase of this product. 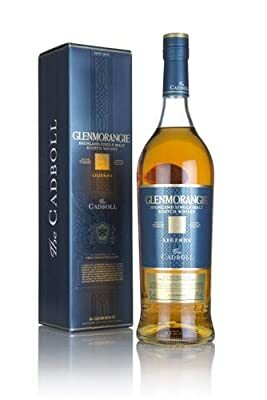 "100cl / 43.0% - The Cadboll is a Glenmorangie single malt originally released for the Travel Retail market which was initially aged in bourbon casks before enjoying a finishing period in casks that once held Muscat and Semillion wines. 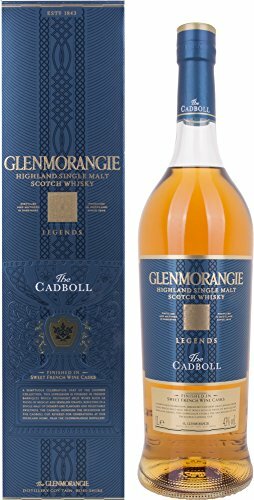 The name comes from The Cadboll Cup, a silver goblet dating back to the 16th century from which the Macleods of Cadboll enjoyed their wine. Not quite on the level of the Holy Grail, but at some point someone probably said ""Let's go get that Cadboll Cup from those people,"" and started some sort of quest. Anyway, the name comes from that vessel and inspired the use of wine casks for this release."